We all know that educators absolutely do not make the money they deserve. The average teacher’s salary in the United States in 2017 was $45,701. Most teachers spend extra hours in the classroom outside of actual teaching hours prepping their rooms, doing paperwork, scoring tests, creating lesson plans, etc. What is supposed to be a 35-40 hour workweek can easily turn into 50 hours or more when you’re a teacher. Aside from that, teachers have more stress than ever, thanks to assessments that grade their performance, behavioral problems, and the responsibility to keep kids safe. It’s no wonder that many teachers seek other methods of making money outside their jobs that are flexible but provide some side income to keep them afloat. I know some teachers who have side businesses in direct sales, while others work nights or weekends waitressing just to make ends meet. But since teachers put in so many hours at school already, I wanted to figure out some other ways for them to make money from the comfort of their homes without needing to spend another 20 hours a week at a different job. These part-time jobs are also perfect for retired teachers who want some extra money in addition to their pensions! One of the best ways teachers find to make some extra money for themselves online is by selling the resources they used in their own classroom. As a teacher, you know how much time you spend developing materials for the classroom. Many teachers are 100% willing to support other teachers by paying them for their awesome resources instead of spending time making them themselves. Etsy may be a good place to sell crafts and other handmade goodies, but it’s also become one of the best places to sell digital stuff. I’ve seen things like website themes, digital art, and custom printables sell easily here. So it’s totally possible for you to sell your lesson plans, printables, teaching binder pages, etc. here. Creating an Etsy shop is simple and free. You only pay a small fee to list items and then another small fee when something sells. At Teacher Lingo, the process to sell your educational materials couldn’t be more simple. Just upload the stuff you want to sell and the site will take care of just about everything for you, including creating previews of your resources. You can choose how much to sell everything for, but the site will give you some pricing tips and a recommended price based on similar materials and what they sell for. Teacher Lingo takes a small commission from each sale. You’ll get your payments monthly via PayPal. Teacher’s Notebook is an Etsy-like place just for teachers to go to sell their educational resources. You open your own shop and start selling your materials to other teachers who need them. You can open a shop for free, but you’ll have transaction fees and lower royalties (still 75%, which is great!). If you open a premium shop, you’ll pay $49.95, but you’ll have access to 85% royalties and no transaction fees. Teachers Pay Teachers is probably the largest marketplace for teachers to get paid for their hard work. The site currently has over 3 million resources for grades Pre-K through 12th. You can sell with a free or paid account. A free account costs nothing to set up, but you’ll be subject to 55% commissions and 30 cent transaction fees. With a premium account, you pay less than $60 for a full year and can get 80% commission and 15 cent transaction fees for anything that sells less than $3. Alternatively, you can also sell your resources on your blog! This works best if you have a blog related to teaching or education, obviously. Set up a link in your menu for your “Shop” and set up a free ecommerce script, like Zen Cart, to get the ball rolling. If you don’t yet have a blog of your own, you can sign up for Shopify. This site is an all-in-one goodie box for anyone who wants to start selling online. It’ll not only give you your online storefront, but also a blog to help draw customers in. Want to find flexible tutoring jobs that let you work a schedule that meets your needs? No need to look any further than these websites, which offer flexible scheduling and good pay for experienced teachers. Brainfuse can be a little tougher than other places to start teaching with, but since you already have teaching experience, you’ll already be on the right track. Brainfuse is an online tutoring company for K-12 students, college students, professionals, and more. Tutors use the online classroom to give lessons to students, and students can even interact with tutors via the mobile app. Elevate K12 offers virtual positions for teachers who want an online classroom with a flexible schedule. You can earn up to $15 per hour teaching, English, Science, Foreign Language, and other popular subjects. Tutors work between 8 am and 5 pm EST, but you can choose the schedule between those hours that works for you. You’ll also get to work with the same students, so you can really get to know one another and tweak your teaching based on how your students learn best. Tutor.com doesn’t require that you have a teaching background, only that you have superior knowledge in the subject you want to teach. So, having a teaching background should really help you excel here! You can apply for several subject areas, but you’ll need to pass a proficiency exam in each one before you can start teaching. You’re allowed to work anything from 5 to 29 hours a week with a flexible schedule. If you want to have more control over the lessons you provide students, then creating your own online courses may be the best option for you. Places like Udemy make it super easy to create a course about the subject you want to teach and then sell that course to people all over the world who want to learn. You set your prices and can even pay extra for Udemy to market the course for you, making this an excellent source of passive income. Want more? Check out our list of top tutoring and teaching companies to work for online! Even more flexible than online tutoring is answering questions online. You’ll still get to use your expertise, but you can log in and answer questions from others who need your help whenever you have some extra time to spare. You can be an expert in a variety of topics to work for JustAnswer as an independent contractor. There’s even a section for homework helpers! When you submit your application, you’ll also need to send in proof of your professional credentials. The amount you make depends on how much you work each week, but JustAnswer says that its top experts receive more than $1,000 a month. Studypool is another flexible opportunity where you can browse open student questions and submit your bid to answer that question. When a student chooses you, you’ll answer the question, which is usually some form of homework help. Once the student approves your answer, you’ll get paid. The more you work here, the better your earning potential because students can rate you. Those with high ratings are more likely to get chosen, in most cases, over those with little to no rating. Wonder is a great opportunity for you if you love researching and writing. When someone asks a question here, you’ll be responsible for researching the answer, providing sources, and writing up a detailed answer based on the information you found. Each answer follows the Wonder style guide, so once you get familiar with it, your work should go a little faster. Find out more ways to get paid answering questions online! These opportunities are great for teachers who also like to write. You’ll use your educational background and teaching expertise to share your knowledge with others through the written word! eNotes is one of the largest study guide databases online. As a writer for eNotes, you can answer student questions. Depending on the length of the answer and your expertise, you can earn between $4 and $37 for each answer. Schedules are completely flexible; log in whenever you can take on some work! Check out blogs about education to see if they need some help with blog or article writing. Some blogs only pay in exposure, meaning that you’ll get a byline and link with your article. Others, however, pay in cash for accepted articles. You could also start your own education-focused blog and monetize it through blog sponsorships, advertising, affiliate sales, and more. Study.com frequently looks for people to write its in-depth articles about degrees, finding the right career, and more. You’ll need at least a bachelor’s degree to start, but you likely already have one of those! Once you get your application sent in, you’ll need to create a sample based on Study.com guidelines that proves you know your stuff. Finally, there’s test scoring and essay grading. Instead of doing all this in the traditional classroom, you can do it from the comfort of your own home! Most of these jobs are very flexible, allowing you to work the hours that make sense for you and your family. You can score the written portions of the ACT from home. It’s preferable that you have experience teaching English to high schoolers, but it’s not a necessity as long as you have adequate knowledge. You can earn $12 per hour or more, depending on how often you work. Literably looks for teachers who have an excellent command of the English language. You’ll listen to students read passages and then point out areas where they might have said a word incorrectly, skipped words, etc. The aim is to help students become better readers by providing constructive criticism. The application process is thorough and you’ll need to complete some sample work to make sure you understand the scoring process. If interested, you can sign up as a Literably scorer here. Pearson is a leading educational company that offers at-home positions for test scorers. The positions are currently for U.S. citizens only. You’ll need to commit to at least 20 hours per week during a regular school year, but the actual hours you work can be flexible. One of the best things about Pearson test scoring jobs is that you may even be eligible for health insurance for your whole family. CollegeBoard, the organization behind the SAT, looks for virtual test scorers to score the SAT! Pearson actually trains you to ensure scoring accuracy, so no previous knowledge is involved. However, it may be helpful for you to have some basic knowledge of the SAT. You can choose your own schedule, but you should be able to commit to at least 20 hours of work each week. Check out these other online test scoring jobs for more opportunities. Although teaching is one of the best jobs there is, it’s also one of the toughest. So much work goes into it and not enough pay always comes out of it. As a teacher, you now have some ideas for getting extra income in your own time without spending more time in the classroom. 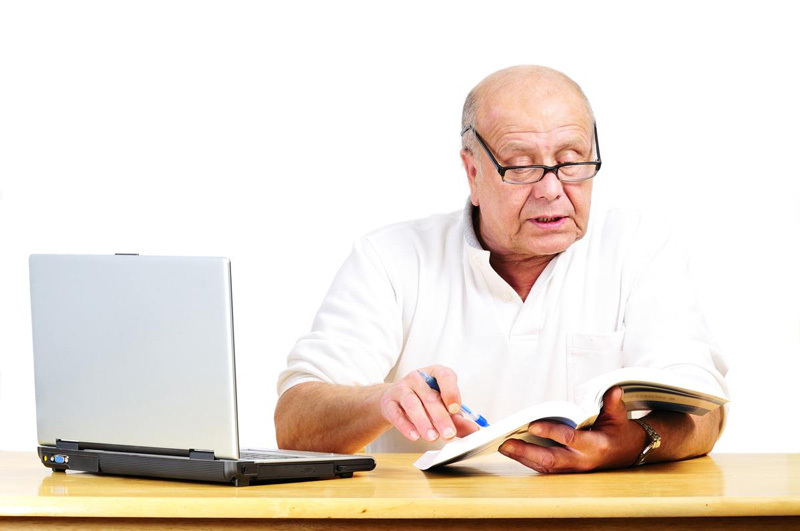 Are you a teacher or retired teacher? What, if anything, do you do for some extra cash? We’d love to hear your ideas – leave us a comment!